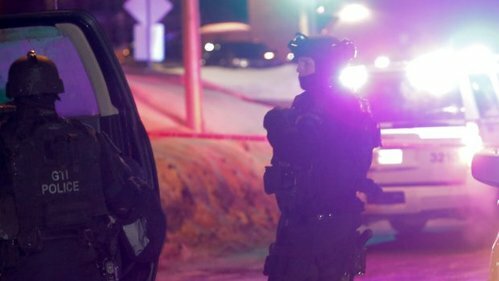 UN condemns Quebec City mosque attack calls it 'attempt to sow division over religion.' Praises Canada's promotion of tolerance, diversity. 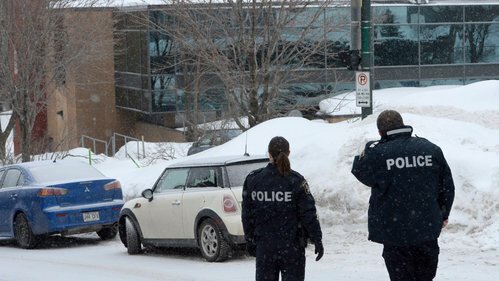 Trudeau: Quebec City mosque attack an act of terror. Calls on all MPs to reach out to their constituents to help country heal. 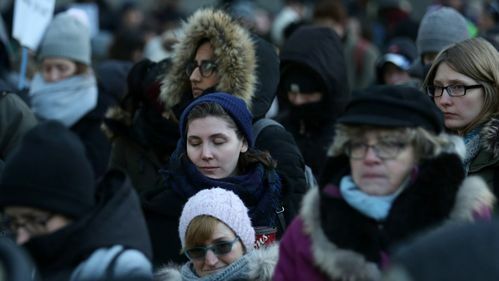 Trudeau reaches out to Canada's Muslim community, says all Canadians mourn together after shooting deaths at Quebec City mosque. We won't have a sportscast on @CBCMontreal at 6 tonight. We are devoting the time to cover the shooting in Quebec City. Ambrose says ability to worship without fear is a Canadian principle, and a Canadian right. Lisée: "If you meet a muslim Quebecer today, greet them and offer your condolences"
NDP Leader Tom Mulcair says the hearts of all Canadians are broken over the Quebec City mosque shooting that killed 6. Deepest condolences to victims & families of the deadly mosque attack in QC city. Our Centre supports people of all faiths & backgrounds. Moment of silence in the House of Commons right now. My Twitter mentions today are full of horrible rhetoric. Come on. Party leaders get standing ovation in House of Commons after speaking on the Quebec City mosque attack. MPs then rise for moment of silence. 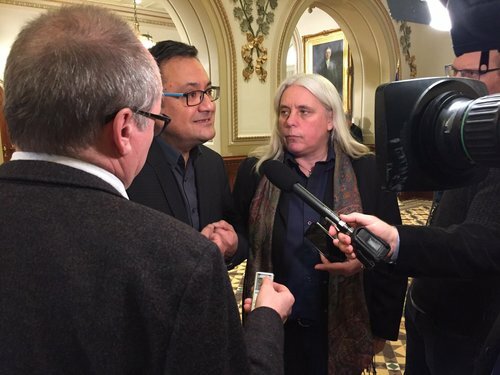 People slammed CBC for not reporting names of suspects immediately. Overnight, police said they'd made 2 arrests. Now only ONE is a suspect. People need to understand that rushing to get it first does not always mean it will be correct. Especially in a breaking news situation. I believe we are all doing our best as journalists. We are human, and it is a competitive business at the best of times. I hope people understand why it takes time, sometimes, to get it right. 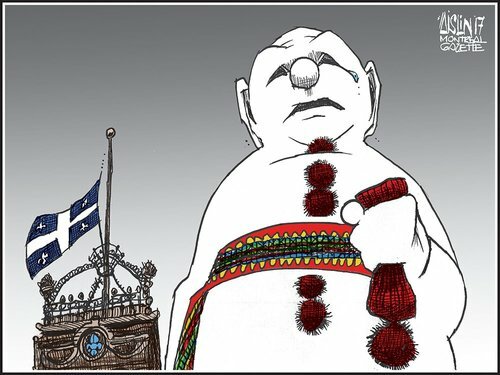 The clerk at the courthouse hasn't received the list of charges the Quebec shooter will face. Expected to receive it in next few minutes.